As a result of well-meaning attempts to encourage breastfeeding, it can be difficult to know exactly where to start when you decide to introduce formula to your baby. Take a walk down the baby isle of any chemist or supermarket and you’re bombarded with options. Add to that the abundance of misinformation about the dangers of formula and it’s little wonder many new mums are left confused and anxious. 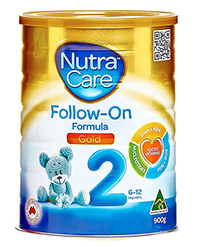 It’s important to remember though that even though breastfeeding is recommended, if you’re unable to do so, rest assured that you can safely meet your baby’s nutritional needs by choosing the right infant formula. 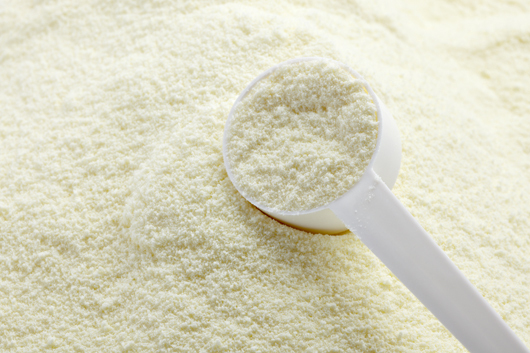 We’ve compiled a list of some of the most commonly asked questions about choosing infant formula and how to go get started. 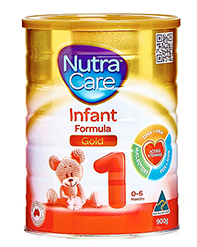 What exactly is infant formula? 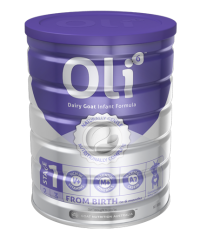 According to Dietician Kirsty Le Ray most commercial infant formulas are cow’s milk based, with the amounts of carbohydrate, fat, and protein, modified to resemble that of breast milk. 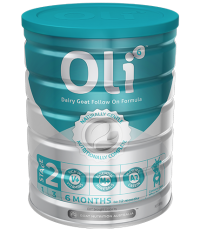 “Most formulas contain added minerals (including iron) and vitamins, to provide the essential nutrients needed for growth and development,” says Le Ray. 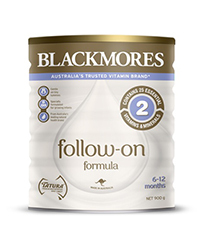 How do I choose an infant formula? Before starting on a formula, it’s a good idea to talk to your health professional for information and help with preparing, storing and using formulas correctly. 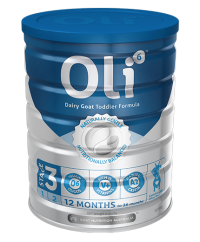 “Most infant formulas are cow’s milk based and are suitable for infants, unless they can’t be taken for medical, cultural or religious reasons,” says Le Ray. 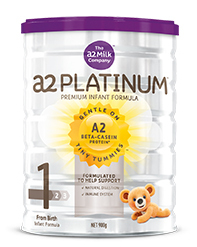 ‘AR’ or ‘anti-regurgitation’ formulas have a thickener added, and may be recommended for infants with reflux. “Consult your health professional before starting on an ‘AR’ formula, as there may be medical issues that need to be considered,” says Le Ray. Lactose-free formulas do not contain lactose, a milk sugar, and may be recommended for use in infants where there is a suspicion of lactose intolerance. 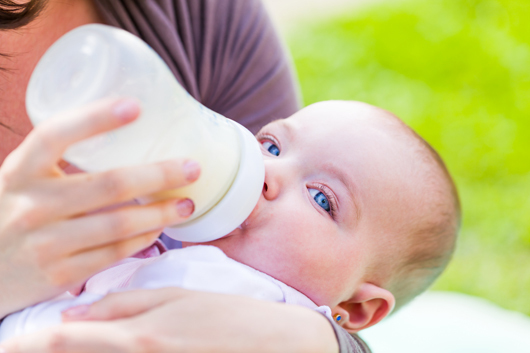 ‘Hypoallergenic’ or ‘HA’ formulas are made up using smaller proteins, are generally cow’s milk based, and may be recommended for use in infants at high risk of allergies. Is there a difference between brands? “There is not a great deal of difference between brands in terms of energy, protein, fat, carbohydrate, vitamins and minerals; so the choice generally comes down to cost and availability,” says Le Ray. If switching from one brand to another, remember to check the number of scoops required, and whether the scoop to water ratio is different. According to Le Ray, Gold varieties contain certain fatty acids that play an important role in the development of the brain, eyes, and other body parts. 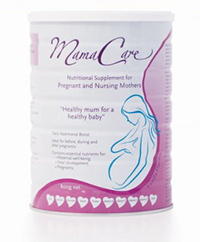 “These fatty acids are found in breast milk, and the body is also able to produce these. Is it important to choose a formula for the right age group? 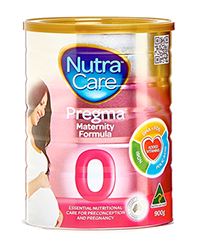 “It is best to follow the use of each formula according to the instructions on the can, including using the age appropriate formula for your infant, unless specified otherwise by your health professional,” says Le Ray. 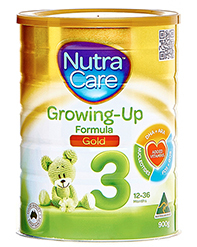 ‘Starter’, ‘newborn’ and ‘step 1’ formulas are for birth to 1 year of age. 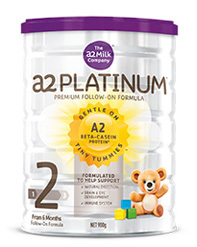 Formulas that can be used from 6 months to 1 year of age are called ‘step 2’, ‘progress’, or ‘follow-on’. When should special formulas be considered? 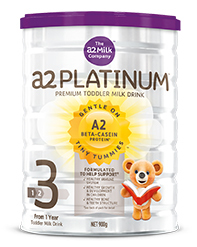 “Special formulas are designed for infants with specific medical concerns, who can’t take cow’s milk based formula,” says Le Ray. If there are issues with feeding or growth, or other medical concerns including cow’s milk allergy, talk to your health professional for information and help. How do I determine if my baby has an allergy? Symptoms associated with food allergy can include eczema, colic, reflux, chronic diarrhoea, and failure to thrive. “Eczema can often be an early indicator that an infant will go on to develop a food allergy,” says Le Ray. “Symptoms of a food allergy reaction include hives, swelling around the mouth, and vomiting, occurring soon after a food is eaten. Severe food allergy reactions (anaphylaxis) can be life threatening, and are a medical emergency, so if you suspect your baby might have an allergy, it’s important to talk to your health professional about allergy testing.